This is my new buddy Alex. I wish I had thought to take a better picture, but I was too caught up in our conversation the other day to think about that. He’s my cousin’s third grade son, so I think that makes him my nephew or first cousin removed or something along those lines. Anyway, I woke up at 4 am this morning thinking about our conversation, and I got up just so I could record what was rolling through my mind, so feel free to skip this post if you don’t like to read. Alex likes to read among many other things, and we covered quite a few topics in our time together yesterday. The fact that he’s probably the smartest 3rd grader I’ve ever been around. He will tell you the same. He has a girlfriend. Just one. She calls a lot. She doesn’t have her own phone, but he does. He sheepishly admits that he doesn’t know his phone number, but he knows his dad’s and so he has her call that phone. We talked about permafrost tunnels. Don’t worry, it’s a real thing. I had to Google it later. We talked about baseball, and basketball, and his favorite sport wrestling. I told him he had to have a cool nickname if he was going to be a pro wrestler. He’s leaning towards going by “John Cena Jr.” Not sure how that’s going to work, but he’s got a few years to figure it out. We talked about dirt bikes and four-wheelers and trucks and the difficulties of shifting gears. We talked about showing pigs, and how hard that is, and about his pig, who’s apparently getting really big by the way. We talked about pork chops. Big pork chops. We talked about decaf Caramel Macchiatos and how they put him to sleep. He told me it takes him two hours every night to go to sleep, and that sometimes he falls asleep in class. I told him he might need to hit the regular instead of the decaf, but that since he’s the smartest kid in class he can probably afford a few weekly siestas during class and still keep up. We talked about sitting on fences and the difficulties of climbing fences in boots. We talked about Youtube channels (he watches Youtube a lot). Apparently, there’s a 10 year old girl who’s a power-lifter and she’s fascinating to watch. We talked about his desire for a Nintendo Switch and also a Nintendo Labo (I had to Google that one later as well). We talked about books and his birthday and about money and about his large bank account. I guessed he had a million dollars, but he told me it was closer to $500. I told him you’re probably the richest third grader in town as well as the smartest. That’s a good combination. I understand why that girlfriend is calling so much. Thanks for the time Alex and keep being you my friend. It’s now 5:45 and I could really go for a decaf Caramel Macchiato right about now… nah, better give me the caffeine. 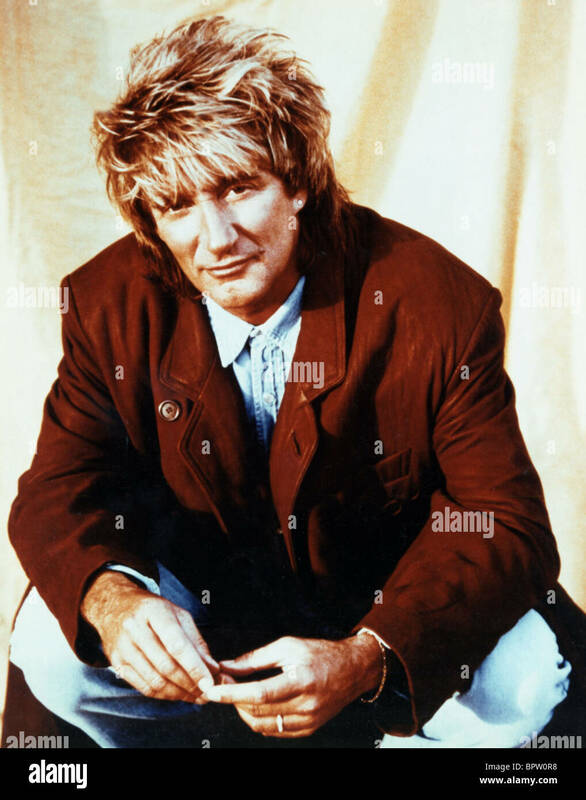 This Rod Stewart song only hit #12 in the U.S. and only made it to #57 in his native UK. I’m surprised because I’ve always loved this 1988 hit of his. It’s just heartfelt and sincere and maybe just seeing him love on some random child in the video made it a little more special. Actually, knowing that the video is a random child makes it a little more strange for me to watch. Ironically though, the name of the child featured in the video is actually Alex. One more note about the video – for God’s sake Rod, you don’t stand up in the back of a moving truck holding a child (3:06 mark). C’mon man! That’s the kind of things you could do in the 70’s. By 1988, you should have known better. Nonetheless, it’s a bright and cheery song that will make you want to go hug your child and encourage them, because they will be grown and out that front door in no time. And one other thing, I’ve written a lot of posts on this site, and didn’t realize I’d actually featured this video once before about two years ago in a post about graduation. Whatever road you choose, Alex. I’ll be right behind you. Win or lose. This entry was posted in Uncategorized and tagged 3rd graders, Alex, Forever Young, parenting, Rod Stewart. Bookmark the permalink.